Although olive leaf extract may sound like some kind of new age alternative medicine, it has actually been used to treat a variety of ailments since Biblical times. Ancient Egyptians had the first recorded use of olive leaves over 5,000 years ago for the preservation of their mummies. They found that by wrapping the mummies in olive leaves, they were able to reduce the rate of decomposition. Inhabitants of Crete used olive leaves for cleaning wounds thousands of years ago. Hippocrates, the father of modern medicine, (425 BC) prescribed the oil of olives to his patients, calling it “the great therapeutic”. More recently in the mid-1800s, Dr. Daniel Hanbury described a healing recipe in a medical journal that involved boiling olive leaves and drinking the liquid for use against high fever. Starting in the 1950s, U.S. physicians began using olive leaf extract experimentally for a variety of ailments, at a time when antibiotics were still in their infancy. By 1969 an American pharmaceutical company, Upjohn, experimented with a chemical derived from olive leaves called elenoic acid while trying to formulate an anti-viral medicine. Upjohn found that in-vitro testing (test tube testing) the elenoic acid innoculated with virus colonies could achieve good results. However, when they performed actual tests on live patients having viral infections, the olive leaf oleuropein-derived elenoic acid did not perform. It is interesting to note that one of the researcher’s conclusions was that they had so isolated and refined that one chemical from the olive leaves that it became unstable when taken orally and no longer effective. Trying to isolate, and reformulate Nature did not work for Upjohn. After Upjohn abandoned their olive leaf work, interest in olive leaf extract did not revive until the early 1990’s when several health food companies tried to again discover, separate, and isolate a “secret ingredient” in olive leaves that seemed to pack it with healing powers. They focused upon a phytochemical called oleuropein, possibly after reading about the results from Upjohn. 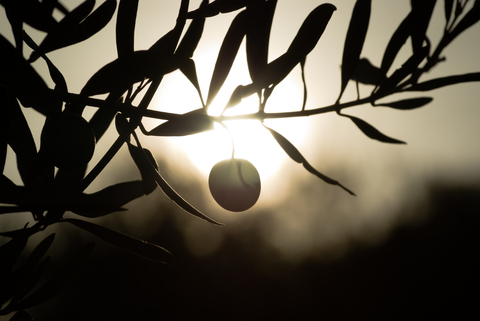 However, they made the same mistake as Upjohn by trying to separate out this precursor of the elenoic acid called oleuropein and again reinventing the formula that evolved in Nature, that had been protecting olive trees for over 10,000 years from attack by parasites, soil fungi, and bacteria. The fact is that besides oleuropein, there are 7 other equally important active phytochemicals contained in the olive leaves, olive oil, and even the bark of this tree that include: caffeic acid; verbascoside; luteolin 7-0-glucoside; rutin; apignenin 7-0-glucoside; leuteolin 4′-0-glucoside; and maslinic acid. It took thousands of years for Nature to perfect this formulation. It is not likely that a couple of scientists working in a lab would be able to reinvent. One easy way to reap the overwhelmingly broad benefits of olive leaf extract is to simply sip a cup of tea. 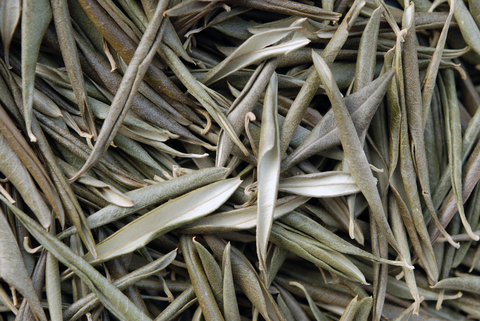 Olive leaf tea has been known to reduce high blood pressure and destroy harmful bacteria in the body. Although there are no known side effects of olive leaf tea, you should talk to you doctor before pouring a cup if you’re pregnant, breastfeeding, or suffering from gallstones. You can also often find olive leaf extract supplements in the form of 450 mg capsules, which can be taken 2-3 capsules every six hours, and are available at many health food stores. Look for the extract that is made from whole olive leaves, that does not separate out the oleuropein from the other important phytochemicals. Younger and more active bodies can usually feel the effects of the supplement with a reduced dosage.